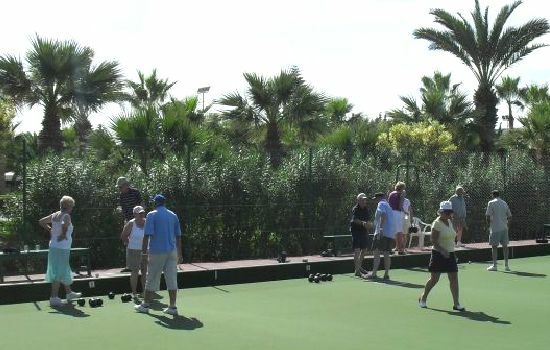 Once again it is time to update you on our latest bowling holiday at the Bellevue Park, Port El Kantoui. This Riu Hotel never fails to please the residents. The staff, from the youngest restaurant helper, to the Managers of all department's of the hotel are always out to make our stay as enjoyable as possible. Our first morning af bowling at the Bellevue Park Hotel, groups from Hayes, Bognor Regis and Staffordshire played a round robin with random teams picked so everyone got to know each other. Over the two weeks we have a variety of games which include round robin's, teams and individuals all drawn out from the lucky bag (for some)? ?, fixed jacks, mystery pairs or triples and 4321 with fixed jack & mat, behind the jack and last Man standing which kept everyone's brains ticking over. 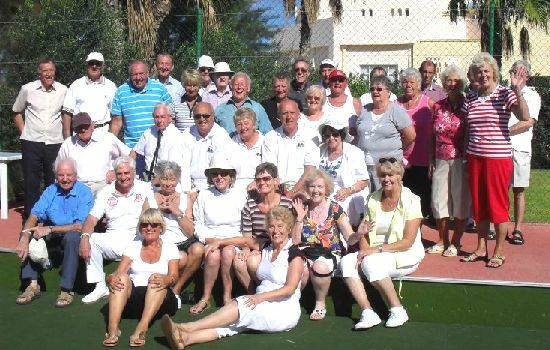 Mercian had arranged for us to have a match against the Green Park Hotel where there were 40 clients on a bridge and bowling holiday with Mercian. Six triples for each Hotel were picked with two rounds of eight ends. Fun and laughter and freindly banter was exchange by both sides. 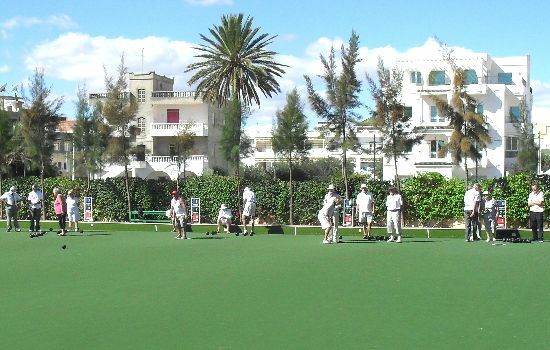 We had a return match at the Green Park Hotel and the bridge / bowlers were after a win after losing away to the Bellevue Bowlers, a good first eight ends and not alot in the score, twelve shots put the Bellevue ahead which in the last eight ends the Green Park never made up, so victory at both Hotels went to the Bellevue Park Bowlers. 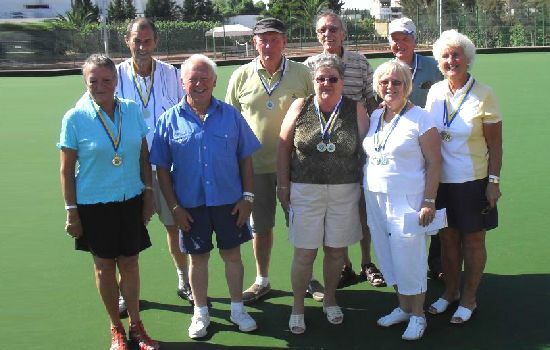 Competitions were supported well and winning bowlers accepting vouchers and trophies at the presentation, one bowler making it to three finals and three bowlers making it to two finals getting double bubble in vouchers and trophies. 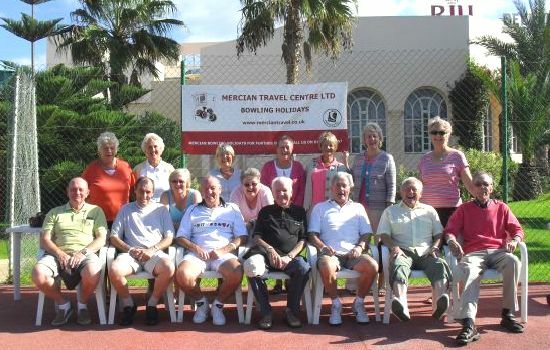 Overall a great bowling holiday from Mercian with a good group who all joined in together to make it a very good fortnight of bowling and fun.